30th House Republican Hits The Exit - Joe.My.God. The head of the powerful House judiciary committee, Bob Goodlatte, is not running for re-election, the Virginia Republican announced Thursday. “It’s been an honor to serve #VA06 – thank you for your support and trust. It’s time to step aside. I’ve decided I will not seek re-election,” Goodlatte tweeted. 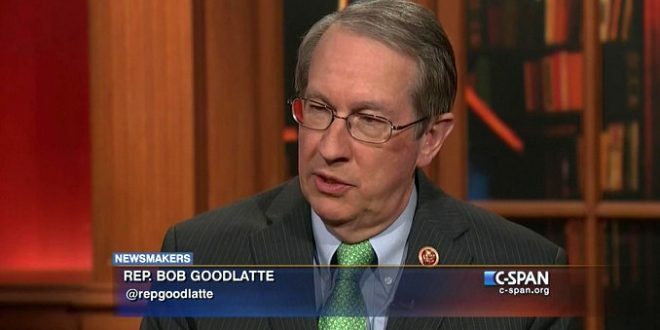 Goodlatte is the latest high profile House Republican to announce he’s not seeking re-election. More than two dozen GOP representatives have announced they’ll leave Congress by resigning, retiring or seeking another office. So far seven House Democrats have said they will not run for reelection.